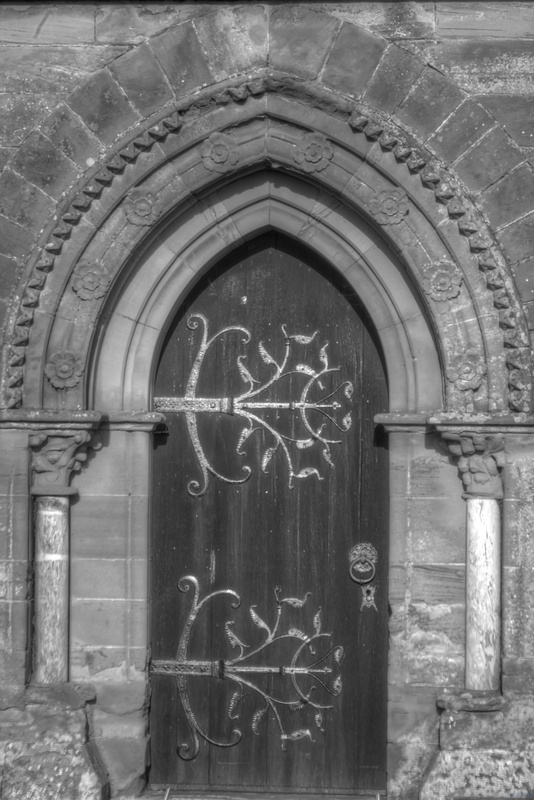 On the side of a church near Hanbury in Worcestershire, is a door that would not look out of place in a Tolkien setting. The only thing needed to complete the illusion would be some elvish script around the arch. I had to crop the original image – there are no steps at the base of the door but there is a steel access ramp, and I didn’t have the courage to move it (even temporarily). It really detracted from the image so I removed it.